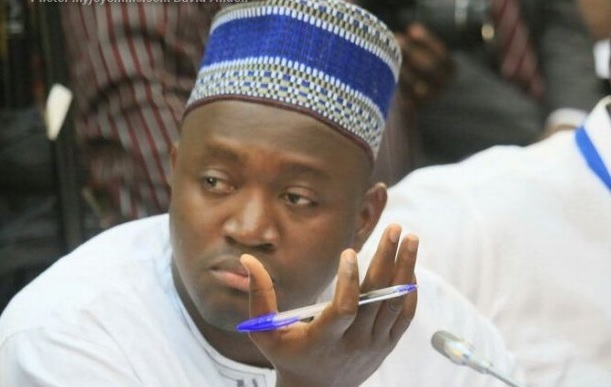 The National Democratic Congress (NDC) Member of Parliament (MP) for Tamale North, Suhuyini Alhassan Sayibu, was sacked from the chamber of Parliament yesterday on the order of the First Deputy Speaker of Parliament. The First Deputy Speaker, Joe Osei-Wusu, was compelled to order the marshall to sack the NDC MP from the chamber after he persistently shouted across the aisle to challenge his ruling and subsequent proceedings. After listening to a very heated and emotional debate on the conduct of the Minority NDC members, who displayed placards with the inscription “Bloody Widow” and walked out of Parliament, the First Deputy Speaker, who stood in for Speaker Prof Mike Ocquaye, ruled that their ‘heartless’ behaviour towards a widow who has been elected as an MP was an affront to the dignity of Parliament which brought the institution into disrepute. He asked the leadership of the Minority to apologise accordingly to the new MP, but the NDC MP for Tamale North rudely interrupted the Speaker before the leaders could respond. He shouted across the aisle that the Minority would never render any apology to Lydia Alhassan. The NDC MP threatened the leadership of the Minority not to dare render any apology on behalf of the NDC members. He continuously heckled the Speaker and other Majority members and proclaimed that it would be over their dead bodies. He asked the First Deputy Speaker to offer his advice to both sides of the House. His continuous heckling drew the attention of the First Deputy Speaker, who asked him to stop shouting across the aisle and behave appropriately as an honourable member of the House. Deputy Minority Leader James Kludze Avedzi entered the fray and strongly challenged the ruling of the First Deputy Speaker, saying the leadership cannot decide to offer any apology on behalf of the Minority members for some action by some individual members of the Minority who decided to display those placards. There were uproars and name-calling from both sides of the House, with the Majority members, led by the Deputy Majority Leader, Sarah Adwoa Safo, chastising the leadership of the Minority for verbally challenging the Speaker’s ruling, which could only be challenged through an appropriate motion. The First Deputy Speaker said that if the leadership of the Minority attempts to distance itself from the action of their members and would not like to apologise, he would call for the videotape of Tuesday’s proceedings to identify those individuals who held the placards for them to be dragged to the Privileges Committee for breaching Standing Orders 30 (2). Immediately the First Deputy Speaker introduced the Privileges Committee into the discussions, the Tamale North MP retorted again that the First Deputy Speaker could go ahead and drag NDC members before the Privileges Committee. He said their people on the committee would also protect the NDC MPs just as the Majority members protected Kennedy Agyapong when he appeared before it last year. The First Deputy Speaker did not take kindly to the open challenge of his second ruling by Mr. Suhuyini and immediately ordered the marshall to order him to leave the chamber for his unruly behaviour. The Tamale North MP continued to shout on top of his voice as he was leaving, saying his sacking from the chamber was the worst the Speaker could do to him. The Majority members shouted, “Shame! Shame!” at the Tamale North MP, who was escorted from the chamber.